Douglas County Oregon livestock agriculture was historically large ranches (usually running large flocks of sheep) and a few large farms. Today, there are more cattle ranches than sheep ranches and the ranches for sale are smaller pieces of historically large operations. In addition to livestock agriculture, the area was historically known for producing pears and prunes. In the last couple decades, filberts, grapes and blueberries have been added to the long list of commodities that can be produced successfully in this area. And just so everyone is "on the same page" and no one is offended, the "lingo" needs to be understood. Ranchers raise livestock and work animals. Farmers raise plants/trees and work the soil. Don't call a farmer a rancher and don't call a rancher a farmer. There is a world of difference in their lifestyles. And to complicate it just a bit more, a horse-based operation is usually called a farm since there is no meat or fiber commodity. Now you know the lingo. Douglas County is ideal for many agricultural commodities because of the mild winter and summer temperatures, long growing season, available water, and fertile soils. Whether you are interested in raising livestock, growing grapes or planting blueberries, or managing a forest, Douglas County has properties available to meet your needs. House:	3 Bed/3.5 Bath House and a 4 Bed/4.5 Bath House. 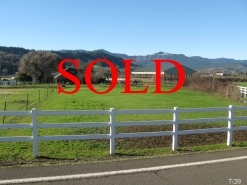 Features:	Blend of level, irrigated pastures and forested hillsides. Multiple outbuildings. Comments:	Suited for livestock and/or horses. Loveless Creek runs through it. House:	4 Bed/2 Bath, 2,296 sq. ft., 2004 triple-wide manufactured house. 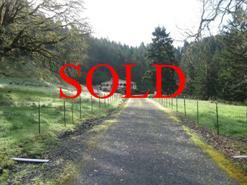 Features:	3 ponds, shop/barn, established road network. Comments:	Forested property with a secluded homestead. 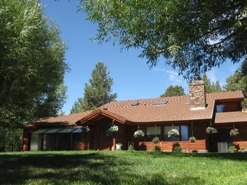 House:	3 Bed/3 Bath, ranch-style house. 1,763 sq. ft. 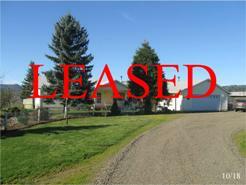 Features:	Multiple outbuildings, cross-fenced, multiple ponds. Comments:	Property currently runs cattle. Suited for pasture, grains, and other crops. House:	4 Bed/3 Bath. 3,232 sq. ft. Features:	15 stall barn and a 60' x 120' covered and lighted arena. Comments:	In the Garden Valley Area. Minutes to Roseburg and I-5. How close or far from town do I want to be? Am I planning on living on this property? Should there be an existing house or will I build one? What kind of commodities do I want to produce? How big or small will the flock or herd be? Do I need facilities like a barn, fencing, or a corral right away or will I build them in time? Do I want flat ground, hill ground, or a combination of both? What types of soils do I want for what I am doing? Do I want to irrigate? Do I want a river, creek, pond, or other waterway? It is important to clearly identify what you are selling and let people know why it is a good match for their goals. Year-round access and a buildable parcel? Barns, poultry sheds, or other animal shelters? Water sources (pond, creek, spring, well)? Whether you are a buyer or a seller, it is important to work with someone who understands what you have and what you want - Walt Gayner Real Estate combines professionalism with knowledge of commercial agriculture property.